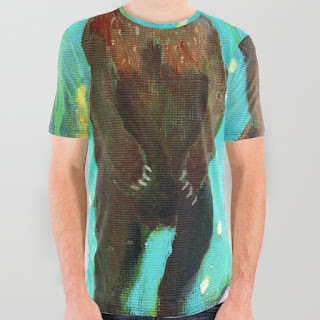 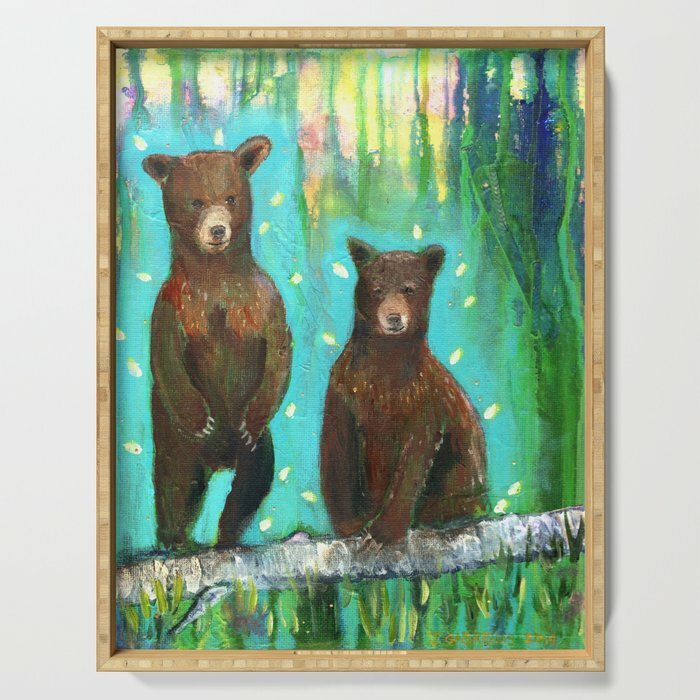 HeavenSpirit Creations : bear cubs in the shop! my sweetie was able to get both new paintings up into society6 today. 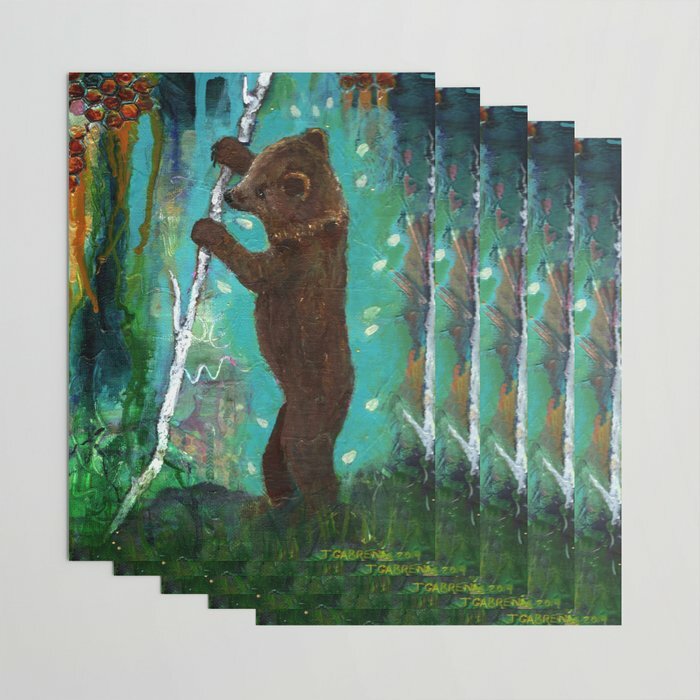 we have some work catching up with putting paintings up in my redbubble shop, but he will be slowly adding when he can. 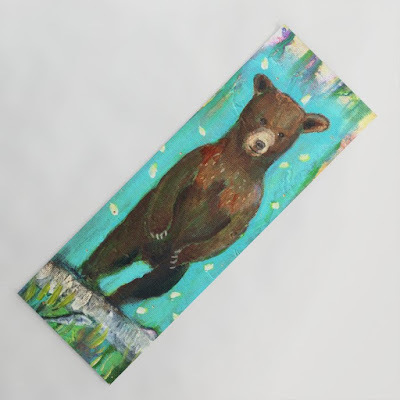 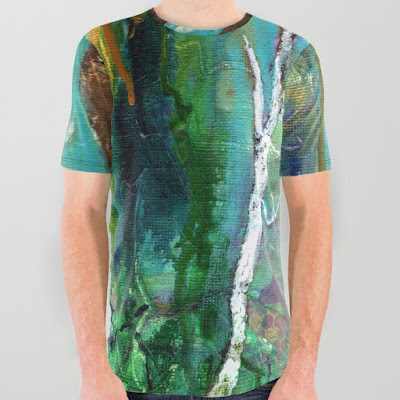 I love that the items show all of the textures and layers I create in my paintings! 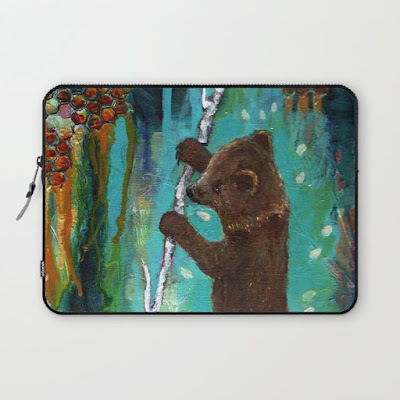 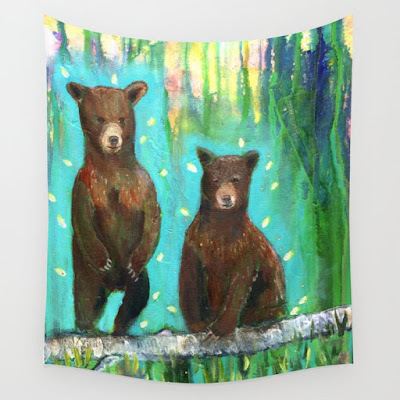 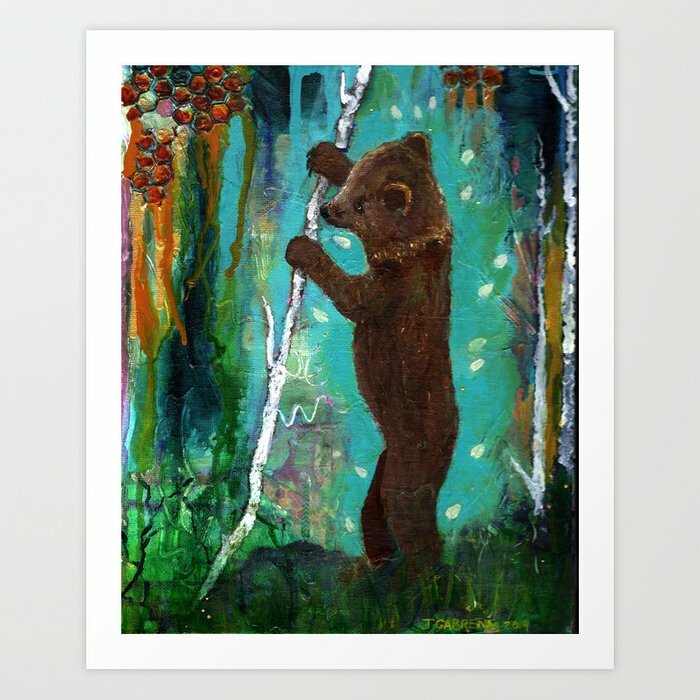 "Spirit Cub Finds the Honey"
all of these and many, many more items for sale with these paintings and more at my society6 store. 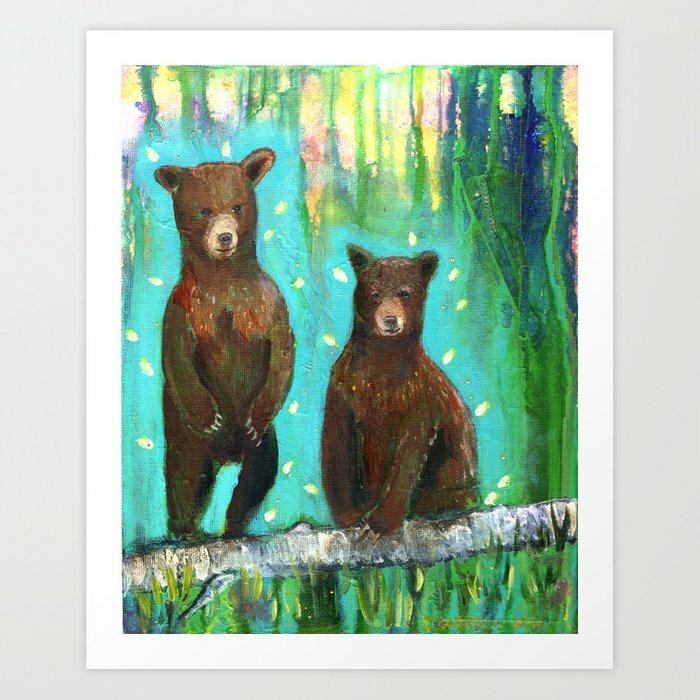 take a look and enjoy your time exploring my colorful world!